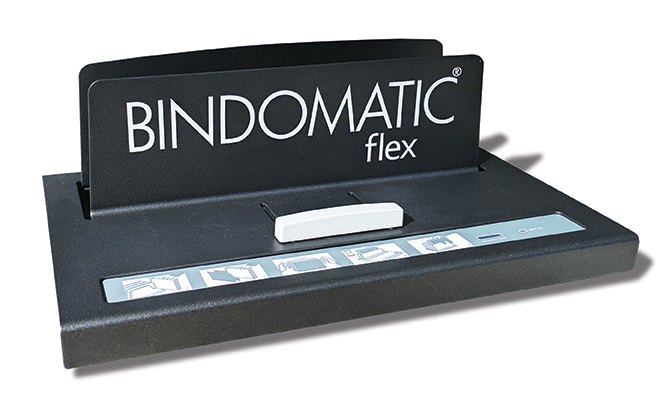 The Bindomatic Flex is a powerful, yet compact, document binder that can be used on its own or complement our larger machines. 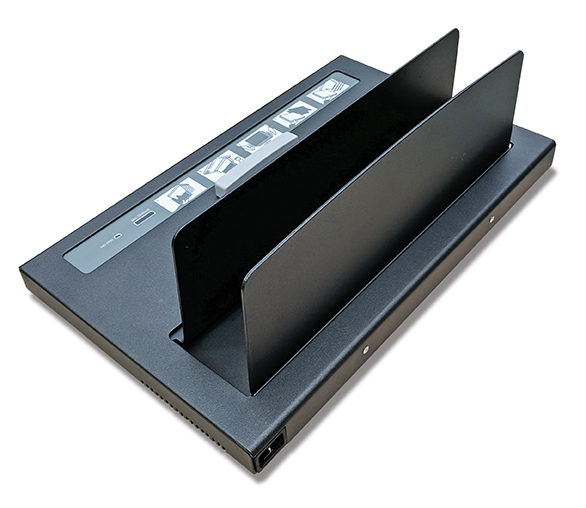 The binding plate accommodates documents up to 350mm in spine length, and with the adjustable guide has the capacity to bind multiple documents simultaneously providing you quick turnaround when you need it. 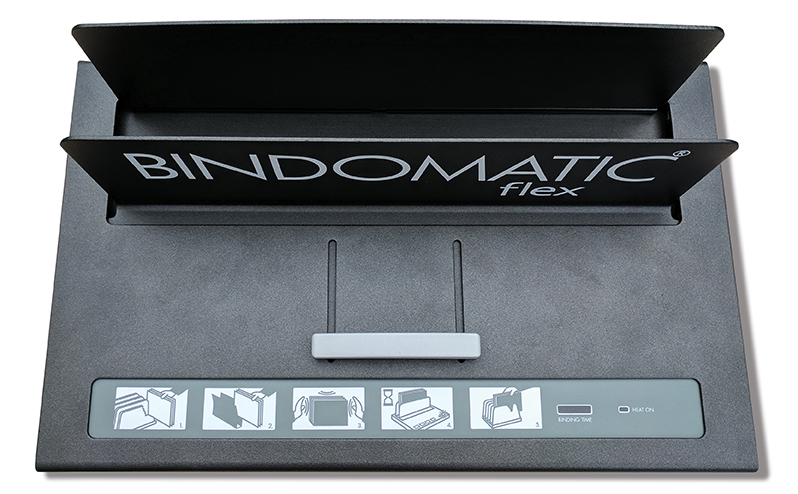 This tabletop binder delivers remarkable productivity in a small space, making it perfect for small businesses and larger offices alike. 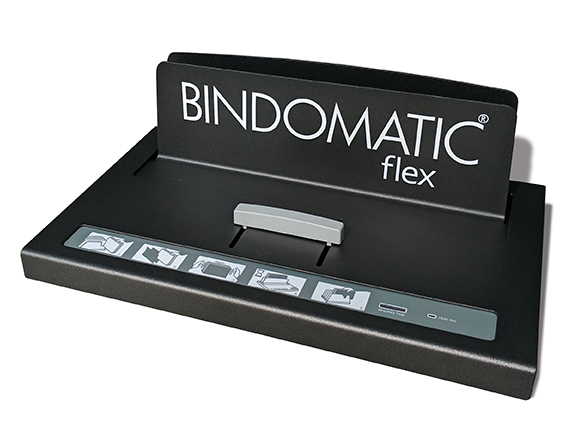 Bind documents as thick as 54mm, soft covers, hard covers; this binder will bind them all and do it stronger and more effectively than any comparable manual binding system on the market, up to 15 documents per minute. If you need to remove, replace or add sheets, simply re-heat the binding. With the wide range of Bindomatic® covers, your business presentations, reports, proposals, statements, manuals etc, will always look and feel as professional as the content and message of your document. Coverbind is committed to offering you the best products at the very best prices. If you find a lower advertised price on any of Coverbind’s thermal binding products, tell us and we’ll match it. That’s our Price Match Guarantee to you. receiving information, offers and promotions regarding Coverbind products. You can withdraw consent at any time. Please Contact Us for more details.